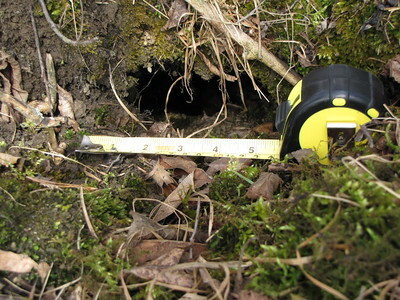 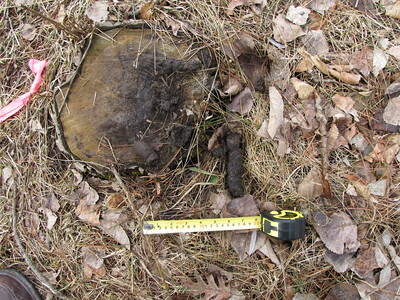 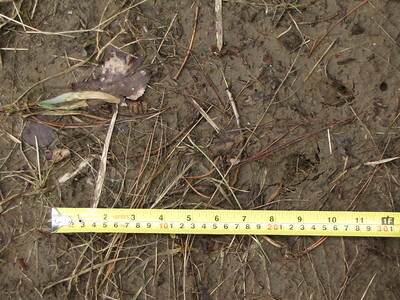 Mammal tracks and sign for Eastern Cottontail, Woodchuck and Raccoon. 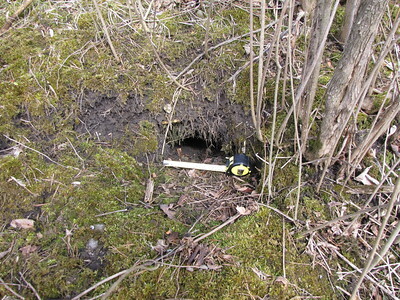 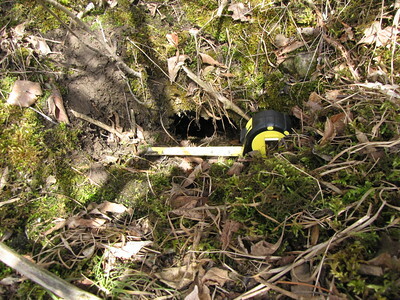 Note that the den entrance photos for Woodchuck demonstrate the effects of time on an abandonned den. 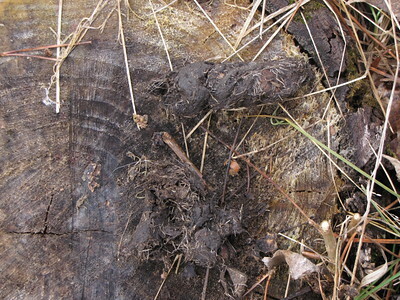 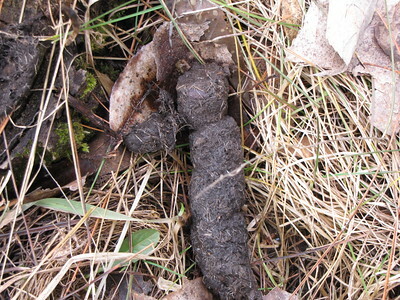 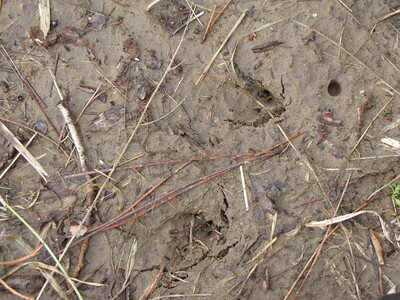 Eastern Cottontail - tracks in mud with track set length = 11". 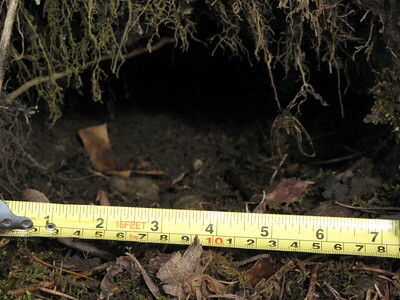 Not all of the feet register as tracks but there is one front track just above the 1" mark on the tape and the hind feet show up above the 9" to 11" part of the tape.